The Mavericks led wire-to-wire (and by as many as 43) as they defeated the Warriors tonight in Oakland by a final score of 126-91. Luka Doncic registered his 6th career triple-double as he finished with 23 points (6-14 FG), 11 rebounds and 10 assists for the Mavericks, while Dirk Nowitzki recorded his 1st 20-point game of the season with a season-high 21 points (8-14 FG, 5-8 3pt FG), along with 5 rebounds and 2 blocks in the victory. Kevin Durant led the Warriors with 25 points (9-25 FG, 0-8 3pt FG), 5 rebounds and 4 assists in the losing effort. 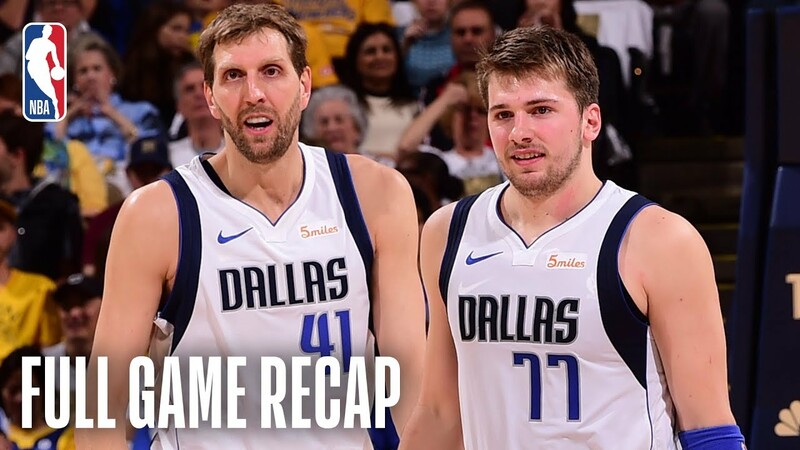 The Mavericks sank 21 three-pointers (21-49, 42.9%) in the victory, one shy of their franchise-record, while holding the Warriors to 4-30 (13.3%) from behind the arc. With the win, the Mavericks improve to 29-44, while the Warriors fall to 49-23 on the season.